It may not feel like it, but the Internet has been on the verge of seizing up for years. Like a city running out of space to build homes, the web is experiencing a serious shortage of new IPv4 addresses. And, just as cities adopt vertical building techniques to create more space, technicians have created a way out- IPv6. IPv6 is the latest form of the Internet Protocol (IP), which provides a way to assign unique addresses to every website, ensuring that traffic can be routed to the correct destinations, and users can be authenticated properly to gain access to the content they need. When IPv4 was created, its designers had no idea how large the web would become. According to the addressing system, four billion unique addresses could be created. That seemed infinite in the 1980s, but now we’re very close to the limit. Thankfully, IPv6 was created in response. 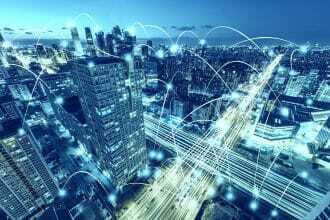 This new addressing system uses a 128-bit standard, with the capacity for 340 billion billion billion billion addresses – more than enough to accommodate the net’s expansion for the next few decades, at least. As the Internet expands, it is vital to mainstream IPv6. However, according to Google, only around 30% of web users have adopted the new addresses, but how does this affect Virtual Private Networks (VPNs)? What does it mean for a VPN to be IPv6-enabled? Put simply, if a VPN is not configured to handle IPv6, it is very unlikely that it will be able to protect the identities of those using the new IP standard. The end result could well be recurrent leaks – exactly what VPN users want to avoid. Fortunately, some providers are ahead of the curve. These companies have retooled their servers and software to be fully or partially IPv6-enabled. There are two main ways for VPN providers to handle the transition to IPv6: blocking IPv6 and transferring users to IPv4, or replacing their servers and protocols with systems that can deal with IPv6. Some major VPNs have opted to use the first approach. This doesn’t mean that users will be assigned completely anonymous IPv6 addresses. Instead, these providers will block the user’s IPv6 address, assigning them a fresh IPv4 address instead. Others have taken the second route. These VPNs have started to offer complete IPv6 anonymity. It’s less common than blocking IPv6, but more providers are offering this service. At the same time, more primitive VPNs don’t have the ability to block IPv6, and many ignore it completely. If users have any concerns about IPv6 leak protection, those providers should be avoided at all costs. Why should users and VPNs make the switch to IPv6? IPv6 is imperative to the future of the Internet, so it makes sense to adopt the new standard as soon as possible. There are advantages for organizations that are reliant on the Internet of Things. Businesses might appreciate the ability to expand their use of IoT sensors without worrying about IPv4 limitations. There are efficiency gains for handling multiple IPv6 addresses over their IPv4 precursors. Multicasting comes standard with IPv6. That could be a game-changer for businesses that rely on multimedia streaming. The benefits listed above are significant, but they need to be understood alongside security risks. At the moment, some experts see IPv6 as a riskier standard than IPv4, as the newer system puts users more at risk from packet injection and reflection attacks. However, the main vulnerabilities are associated with the transition from IPv6 to IPv4, which occurs whenever IPv6 users need to access services that haven’t updated their systems. It may also apply to VPNs that block IPv6 and assign anonymized IPv4 addresses instead. There may also be speed losses involved in switching tunnels between IPv4 and IPv6, giving VPNs that cater purely to IPv6 a major advantage. This means that IPv6 users have a choice – choose VPNs that are adapted for their address standard, choose VPNs that use the IPv6 blocking workaround, or take their chances with standard VPNs. The smartest route to take, of course, is to choose a VPN that is ready for IPv6! The post Why VPNs Should Be IPv6-Enabled appeared first on Team ARIN. By Stephen Strowes Guest Post: Are networks using prefix lengths differently today compared to eight years ago? If you’re looking to boost business sustainability, smart technology can help. It’s become increasingly important for businesses to focus on sustainability, but many often wonder how they can improve. Here, we’ll look at how smart technology goes hand in hand with business sustainability and why it matters. Why is business sustainability important? Business sustainability is crucial for long-term prosperity. It’s also extremely important for the environment. It is well known the damage we are causing to the planet, but with increased sustainability, it’s possible to reduce the harmful effects and protect both the environment and your business. Waste reduction is especially important, particularly within the hospitality industry. The less waste a business produces, the better for the environment it will be. It’s also crucial for your reputation. Consumers today actively look for businesses which operate in an eco-friendly manner. So, if you’re looking to boost your business, as well as protect the environment, you’re going to want to focus on boosting sustainability. Smart technology has become crucial in both commercial and domestic use. Typically allowing the user to control smart devices via the internet, there is a huge range of smart devices on the market, such as smart lighting, smart thermostats and smart air conditioning. The benefits smart technology delivers are fantastic, helping businesses to cut costs, reduce downtime and improve energy efficiency. Smart technology is known to be much kinder to the environment than standard technology. For example, smart washing machines can reduce water consumption, while 3D product printing can reduce over-specification. Smart technology is also helping businesses to identify how society and the economy are working today. This in turn provides valuable insights which can aid in the development of new products and services. Having data collected from millions of individuals, buildings and vehicles is what helps businesses to improve sustainability and guarantee their future. These are just some of the ways your business can use smart technology to boost sustainability. It can prove costly making your business more sustainable. However, there is some level of financial help which may be available. Contact your local authorities to see whether you might qualify for a grant to help towards the cost of sustainable improvements. Overall, business sustainability is important and smart technology is just one way you can improve your company’s sustainability. Linux can be built with various options to offer more predictable behavior and so can address some similar scenarios. 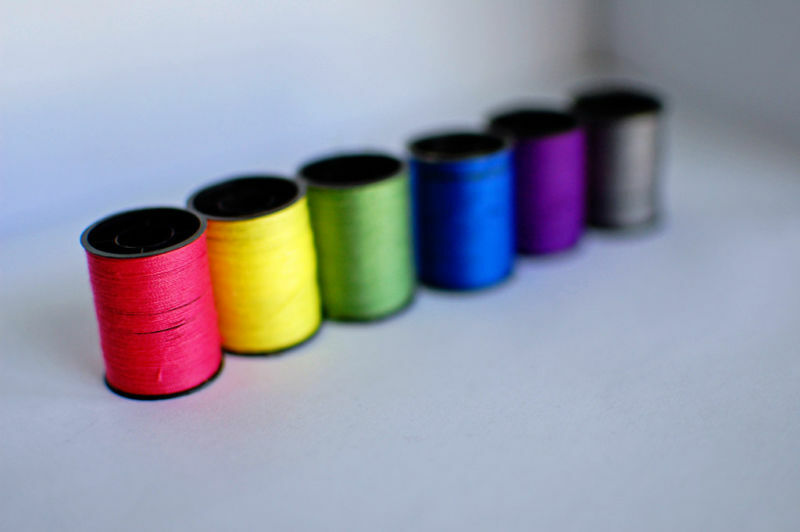 But ThreadX has another big advantage up its sleeve: it’s tiny. A minimal ThreadX installation takes 2,000 bytes of storage and needs 1KB of RAM, far less than Linux can use. By way of comparison, Microsoft’s Sphere hardware (which uses a custom-designed ARM processor with various security features embedded) has 4MB of RAM for applications and 16MB of storage. There are an estimated 6.2 billion deployments of ThreadX running on several dozen different kinds of processor or microcontroller.